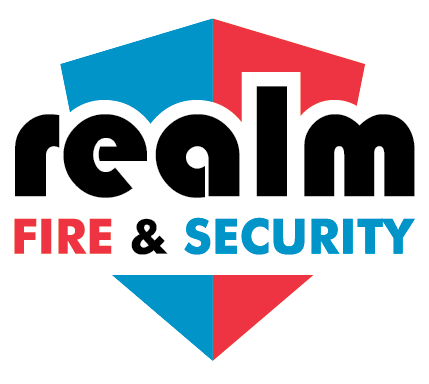 We are delighted to announce that Realm Fire & Security have been nominated in the Pride of Aberdeen Awards 2016 in the Health & Safety category. Here is a link to the promo video for the awards and visit Pride of Aberdeen Awards for more information. We will find out if we have won at the award ceremony on the 12th of November. 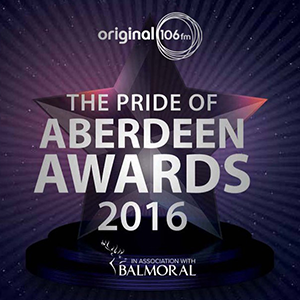 Voting has closed for the Pride of Aberdeen Awards 2016! Thank you to everyone who has voted for us and to all our staff for supporting Realm. 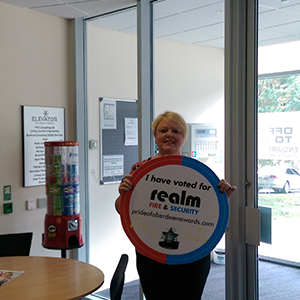 Our engineers and sales team have been campaigning for us whilst visiting customers and have been getting photos of our customers who have voted for us and have been great at backing Realm. Why vote for Realm Fire & Security in the Pride of Aberdeen Awards? 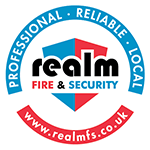 Realm Fire & Security are a local company who have been operating in Aberdeen since 2002, since then we have built up lots of loyal and happy customers by focusing on quality, customer care and service. These qualities have built up trust with our customers and gained Realm a reputation for reliability, honesty and integrity. All our staff aim to provide a friendly and reliable service to our customers. We know our customers are the key to our continued success and that’s why we put the customer first and work hard to provide them with the best quality of service. We offer quality, cost-effective solutions and pride ourselves on great customer satisfaction, have a look at some of our testimonials. Watch a video interview with Stephen Booth, Business Development Director, speaking about our nomination and what it means to all the staff at Realm. We will know how we have done at the awards dinner at Aberdeen Exhibition & Conference Centre on Saturday the 12th of November. Voting is still open and every vote counts! Some of our customers have already voted for us! One of our loyal customers Kerry Wylie of Elevator Business Centres has voted for us in the Pride of Aberdeen Awards. She also gave a testimonial, “After attending a fire warden course today with the excellent trainer, it is the best course I have been on, I thought I would give you some feedback. 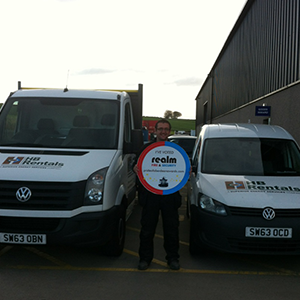 We use Realm at Elevator at Crichiebank, Inverurie and Realm provide an excellent service, whether it’s a callout, a service or just a general query it’s a fantastic service every time. Normally I deal with Donna, Lukasz or Steve, who are all brilliant!” Thanks Kerry! 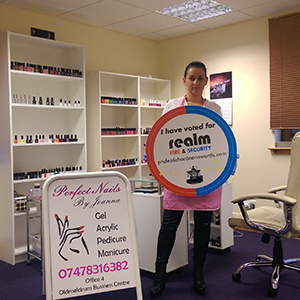 Joanna Godlewski, from Perfect Nails by Joanna, has voted for us in the Pride of Aberdeen Awards. We have been nominated for the Health and Safety category this year and we would appreciate your vote too. Thanks for your vote Joanna! 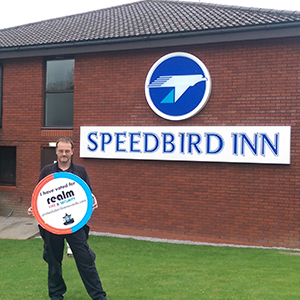 Ricky from the Speedbird Inn has already voted for us in the Health and Safety category for the Pride of Aberdeen Awards, our engineer took this photo when he was doing a routine maintenance. Thanks for your vote Ricky! 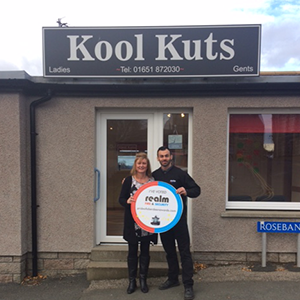 We have received another vote from Anne Ritchie of Kook Kuts, Oldmeldrum. It’s great to get such good support from our loyal customers for our nomination in the Pride of Aberdeen Awards Health and Safety category. Thanks for your vote Anne! 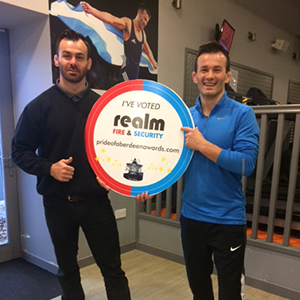 Vio Etko of Etko Sports Academy & Gym, Oldmeldrum, has given his support to Realm for the Pride of Aberdeen Awards. Vio is a medal winning wrestler for Team Scotland and achieved honours and recognition following his excellent performance and getting a medal at the Glasgow 2014 commonwealth games. Thanks for your vote Vio! 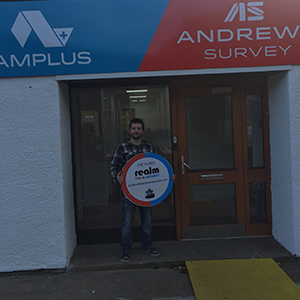 We have received another vote from Steve from Andrews Survey in the Pride of Aberdeen Awards. We have been nominated for the Health and Safety category this year and we would appreciate your vote too. Thanks for your vote Steve! 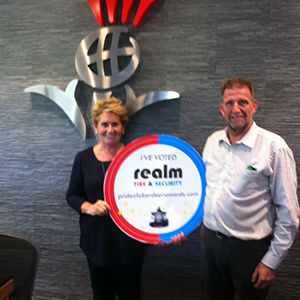 Derek and Lynn Nicol from Nicol of Skene have voted for Realm after we were nominated in the Pride of Aberdeen Awards Health and Safety category. Thanks for your vote Derek and Lynn! 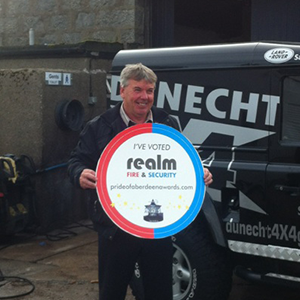 On a maintenance visit one of our engineers got a photo of Bill Gauld from Dunecht 4x4 who has voted for Realm in the Pride of Aberdeen Awards. Thanks for your vote Bill! We also received a vote from Andrew of HB Rentals for our nomination in the Health and Safety category. Thanks for your vote Andrew!